Leave it to the Swedes to come up with this incredibly novel idea (a country that seems to constantly produce culture that sits at the pinnacle of hipness- in terms of design, fashion, and music). 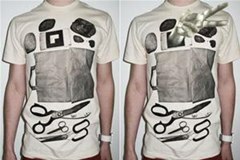 Swedish magazine publisher T-Post produces wearable magazines, each issue printed directly on a T-shirt. 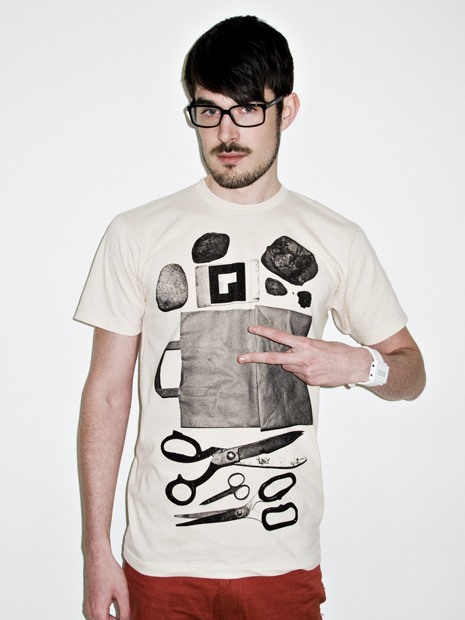 "Offbeat news + graphic t-shirt = T-post, the world's first wearable magazine. 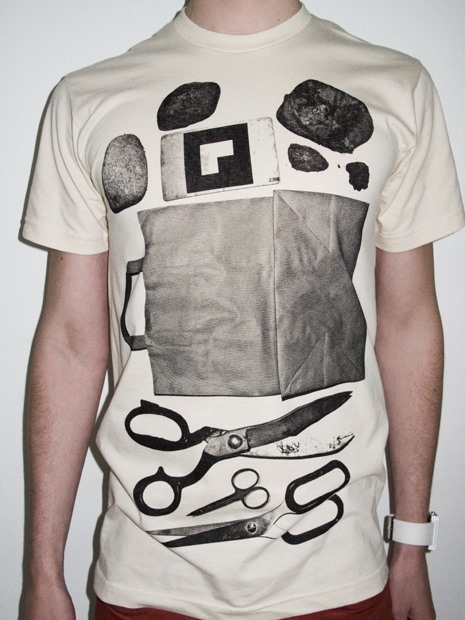 Every six weeks, subscribers receive a new t-shirt in the mail. News story on the inside. Artist interpretation on the front. All-around conversation piece." The past issues have been fun; nice designs, a very particular aesthetic that appeals to a very particular crowd. But the most recent issue is extraordinary, truly out of the box. Issue 51 presents a virtual holographic hand that challenges you to an augmented reality game of Rock-Paper-Scissors (when standing in front of a webcam running T-post's special web app).